This entry was posted on October 26, 2015 by JCardillo. A Library Journal #9 National Bestseller . 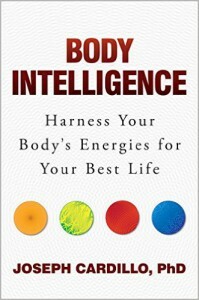 Discusses how to harness your body’s energies to achieve higher quality everyday energy, greater physical, mental, and emotional strength, better focus, memory, sleep, and athletic performance as well as reverse anxiety, stress, and low emotional times. For general audiences including: business people, athletes, educators, military, healthcare professionals, and communities everywhere. To book Dr. Joe, click here.